Our tie down anchors may be installed in most surfaces (i.e. 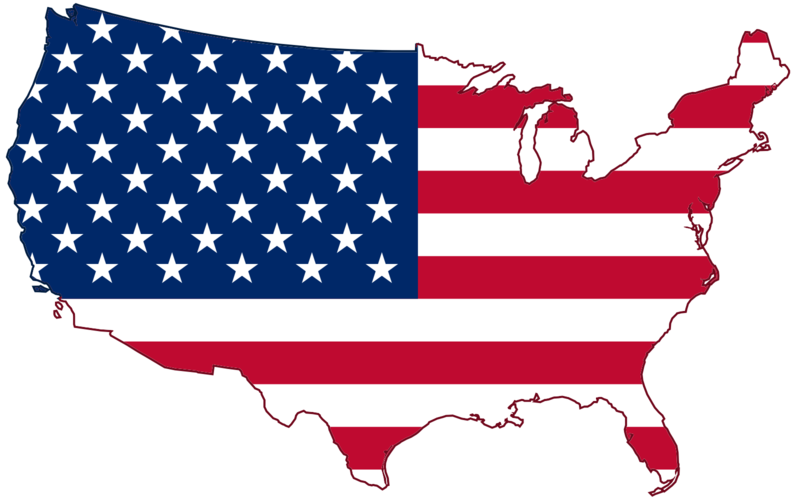 cement, asphalt, turf, gravel, organic soil, etc). The anchors may be installed during new construction or after construction has been completed. 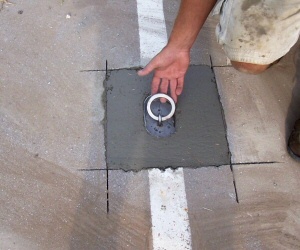 In new concrete construction, core a hole 6″ deeper and 4″ larger than anchor width than the length of the anchor (4″ to 48″). Embed the anchor into the fresh concrete and finish to grade. 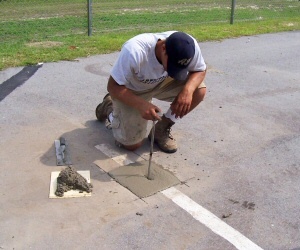 In turf, gravel, or asphalt core a hole 6″ deeper than the length of the anchor and 2″ larger then the width of the anchor. Fill with concrete and embed anchor and finish to grade. Pull out strength will vary by soil conditions. To increase the pull strength of the anchor, ‘bell shape’ the concrete and/or increase the hole size or depth of the hole. Additional anchor lengths and cross members are available to increase pull out strength. Augering hole 6″ deeper than anchor length. 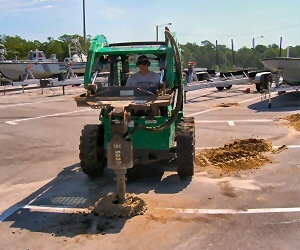 Positioning anchor in wet concrete and trowel to grade. 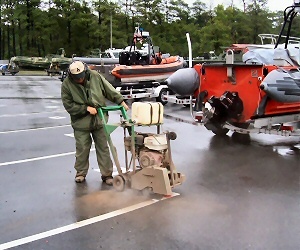 Installed anchor flush with asphalt.